History: Grapegrowing in this area dates back to the 1850s with the arrival of Italian immigrants. In 1950, the Pesciallo Family established Blue Mountain Vineyards, the first post-Prohibition winery. In the 1970s, the region’s pioneer winemakers of today began producing wine commercially, with a more concerted effort on the Oregon side within the last 20 years. Location: Walla Walla Valley, a sub-appellation of the massive Columbia Valley AVA, sits at the base of the Blue Mountains and stretches from the southeast corner of Washington, across the Columbia River and into the northeast corner of Oregon. Although most of the AVA’s wineries are in Washington, almost half the acreage lies in Oregon. Climate: Long sunshine-filled days are balanced by cool evening temperatures at higher elevations. The AVA lies east of the Cascade Mountain Range, which limits the amount of rainfall to an annual 12.5 inches, allowing vintners to manage vines through irrigation. Soils: Varying combinations of well-drained loam, silt, loess and cobbles were brought by a series of massive floods (known as the Missoula floods) some 15,000 years ago. Topography: East of the Cascade Mountain Range, this area sits at the foot of the Blue Mountains, with vineyard elevations typically ranging from 650 to 1,500 feet. Focus? The Walla Walla Valley Wine Alliance is a nonprofit wine industry membership organization whose primary mission is the marketing of the Walla Walla Valley’s AVA. 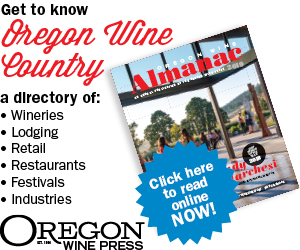 The Wine Alliance functions as the leading informational resource for consumers, media and trade interested in learning more about the Valley’s wine industry. Identity? One key differentiating characteristic is the AVA’s diversity. Within the valley, we have various terroir. Walla Walla is also known for producing a variety of award-winning wines of multiple varietals. Likewise, the Valley’s winemakers represent numerous styles. Varieties? The Walla Walla Valley AVA is known for Syrah and Bordeaux varietals (Cabs and Merlot). Collaboration? The AVA is extremely collaborative. Since the very beginning of the AVA, all winemakers have reached out to assist their fellow winemakers with winemaking techniques, grape sources and business assistance. Challenges? Our main challenge is distance to population centers like Seattle or Portland. Marketing? 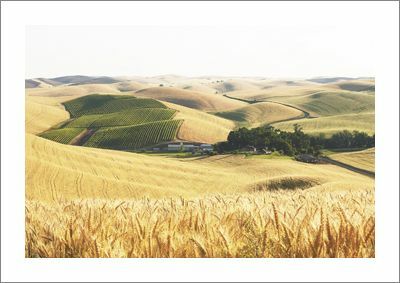 Walla Walla promotes itself through social media, e-newsletters, websites, a mobile wine tour smartphone app, PR, print advertising and wine tasting events in Portland, Seattle and New York.